How's everyone usually spend your sunday? 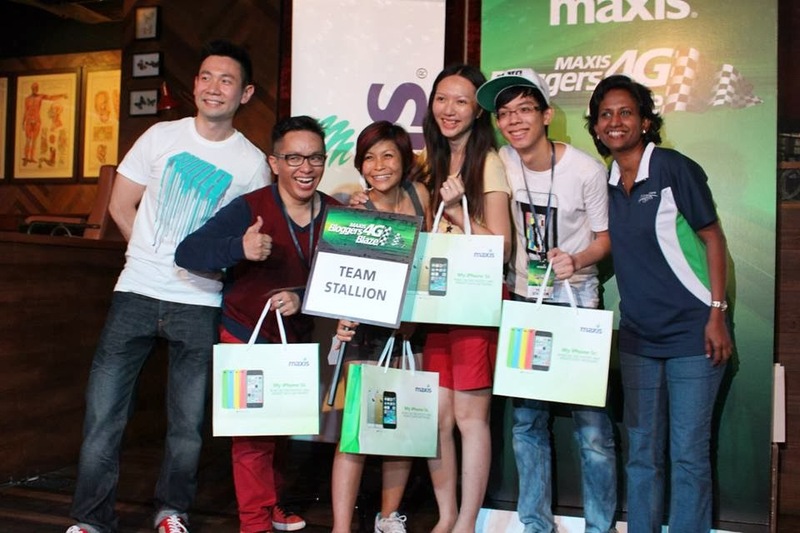 My Sunday was great, many thanks to Nuffnang and Maxis. 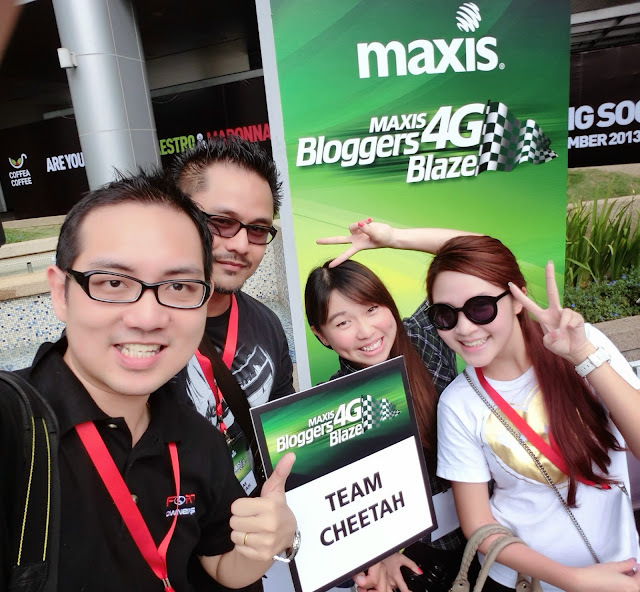 I was invited by Nuffnang to Maxis 4G Blogger Blaze at eCurve. 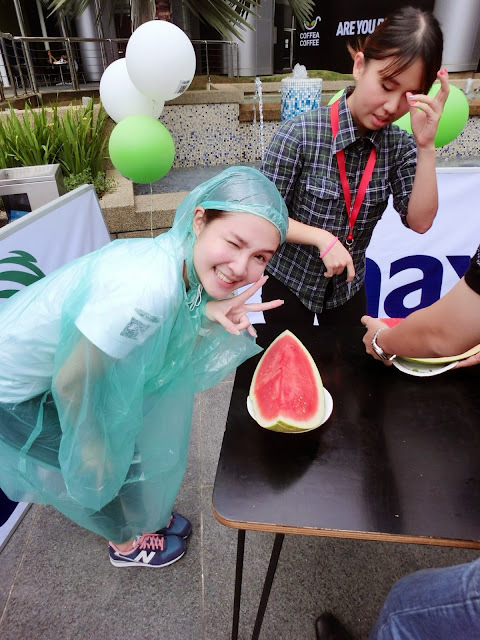 Many bloggers were invited up to 30 plus. Such a big blogger gathering last Sunday. 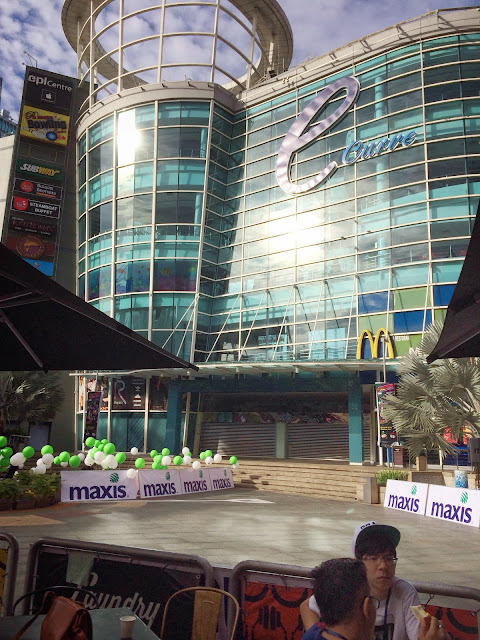 Got up pretty early that day, still in half sleeping mode and drove to eCurve, the meet up point. 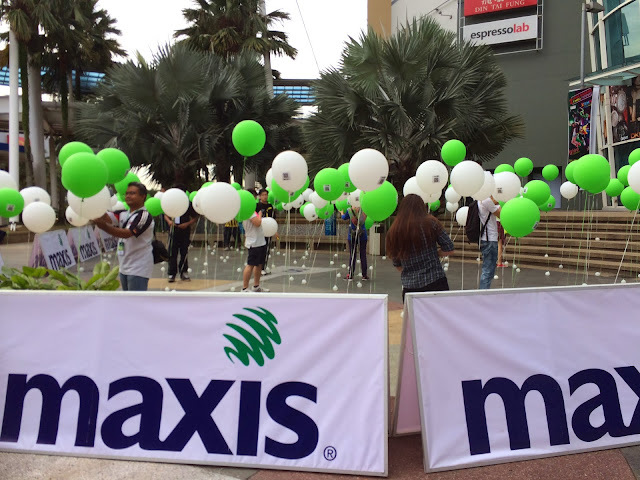 The first thing i saw when i walked to the the out door piazza, i saw bunch of green and white balloons that form into a circle surrounded by Maxis banner. I was sure the event is held over there. After the bloggers registration, emcee began and explained to all of us about the whole event and gave all the instructions. Everyone got so excited after knowing the prizes, who doesn't want a Samsung Note 3 and ipad mini??!! All the bloggers were separated into 8 groups with 4 members each. 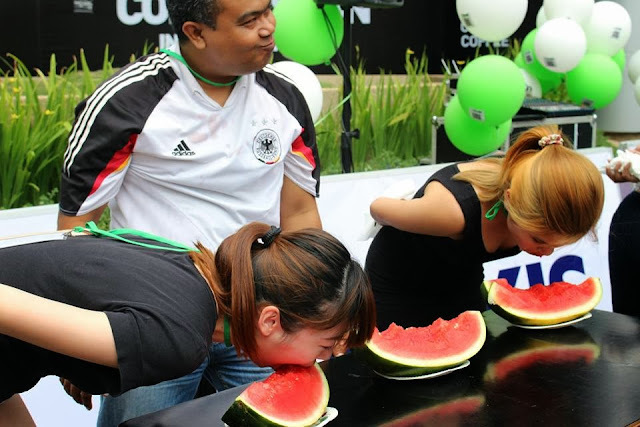 Group name were given according animal and guess which team i in? I'm in Team Cheetah!!! Me and my group member - Isaac, Ben & Hilda! Got interviewed with my group member. 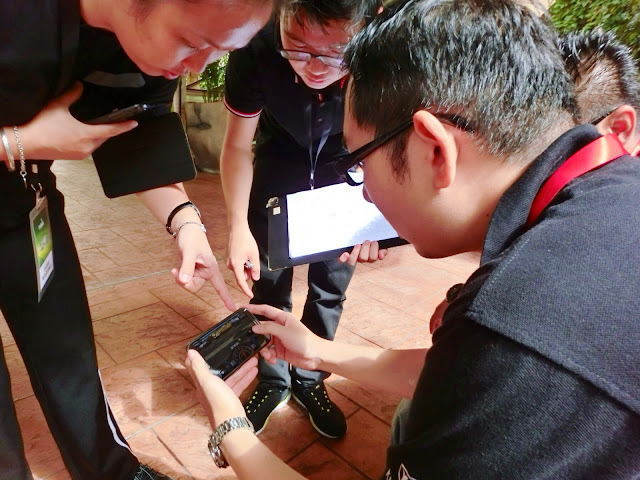 Before the game begin, a Samsung phone is given to every team. 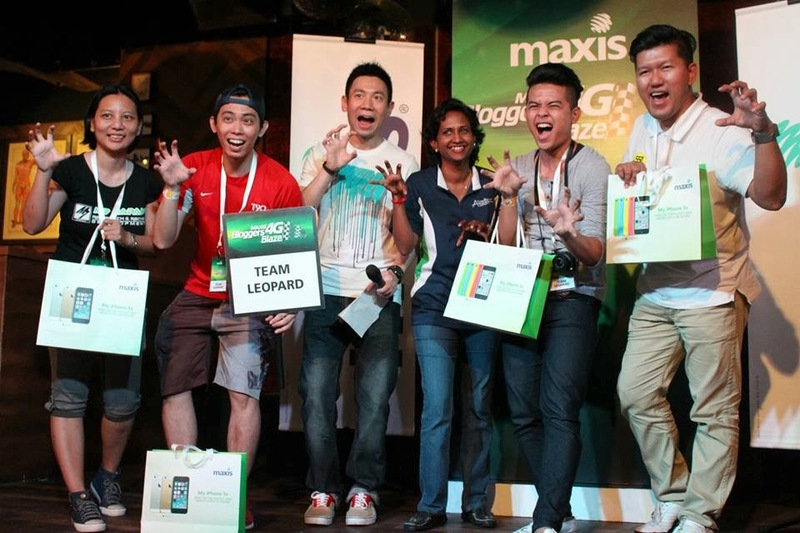 The phone has already connected with Maxis 4G network in order to help us on complete all the challenges later on. 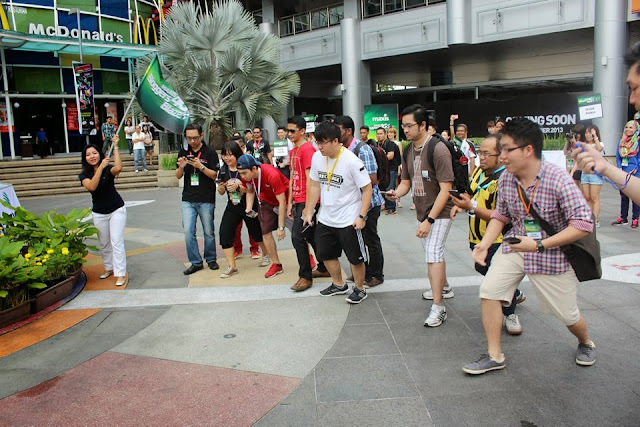 All the group members have to take turn and enter the maxis balloon circle to look for the right balloon with the right QR code that showed us the right car with location. 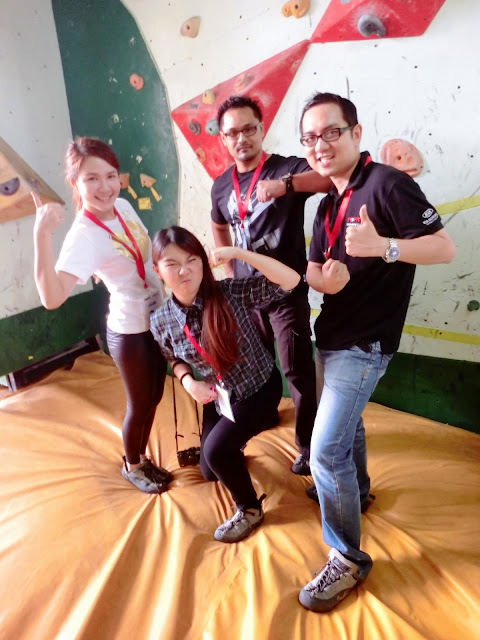 Our first stop was at Wangsa Maju Mad Monkeyz, it was a rock climbing task! 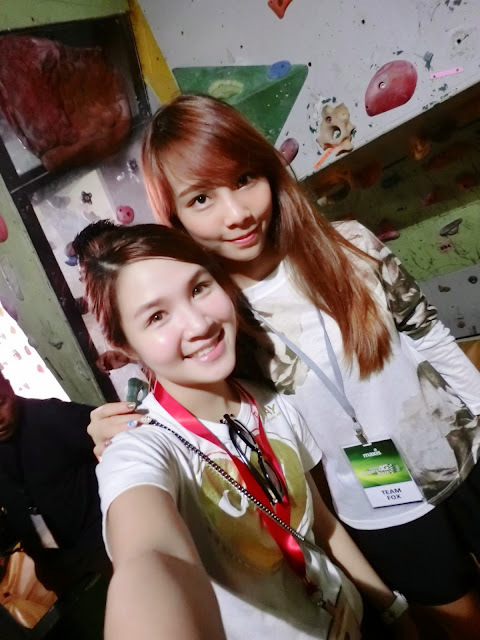 Had my virgin first rock climbing experience! It was great, thank god i did not fell when i thought i would. Lol. All the members need to climb onto the rock and get the flag. After completing the task, we were require to post to Google Plus. 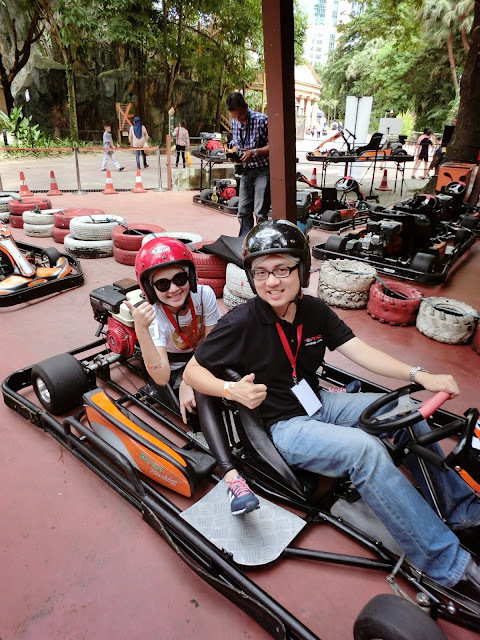 Our next stop were at Sunway Lagoon for Go Kart. Thank god the traffic went pretty smooth when we drove from Wangsa Maju to Subang. Before we go for our Go Kart, each members were direct to play a racing game for score collection. 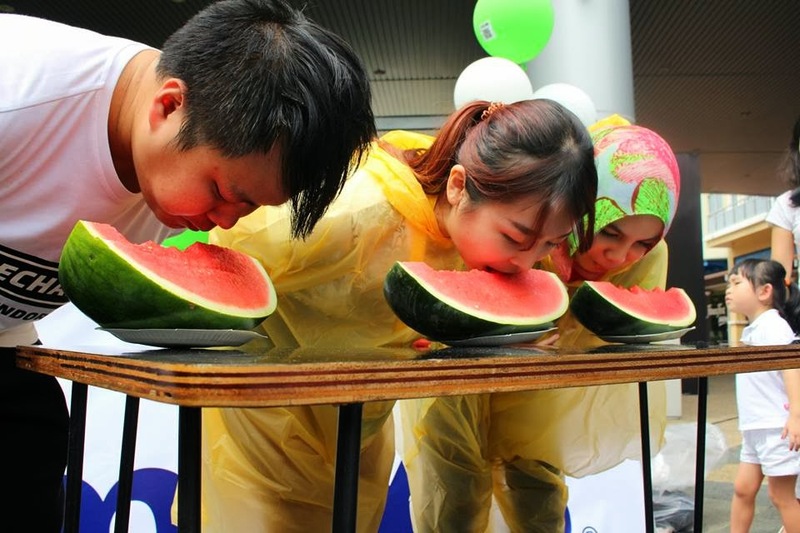 After completing those tasks, all of us have to rush back to eCurve for our last challenges. That was one of the most exciting game throughout the day, guess what? Not something hard but challenging, we have compete with other groups by the speed of eating watermelon. The funnest game and also 'disgusting' game thanks to the watermelon juice. Lol. All the games and challenges ended just in time just for lunch. Yummy lunch were served by Laundry Bar. 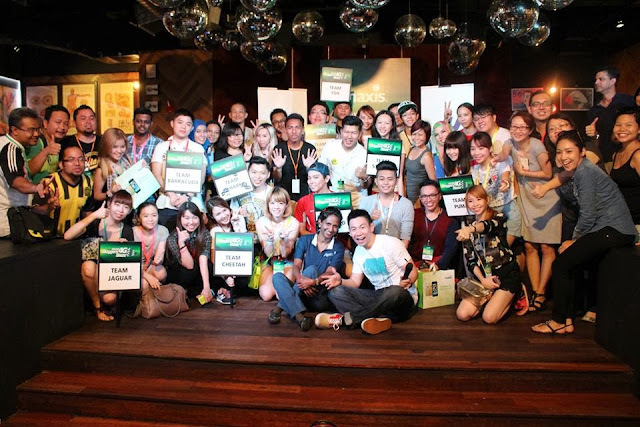 After we had our launch, all of us were invited to Laundry Bar indoor for have price giving ceremony. Grand prize winner goes to Team Stallion and second prize winner goes to team leopard. 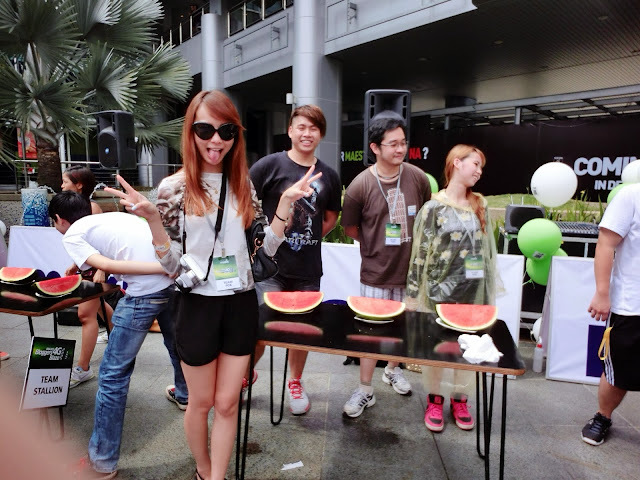 Well although Team Cheetah did not win any prizes, but all of us did had lotsa fun! Group shot with all the bloggers. 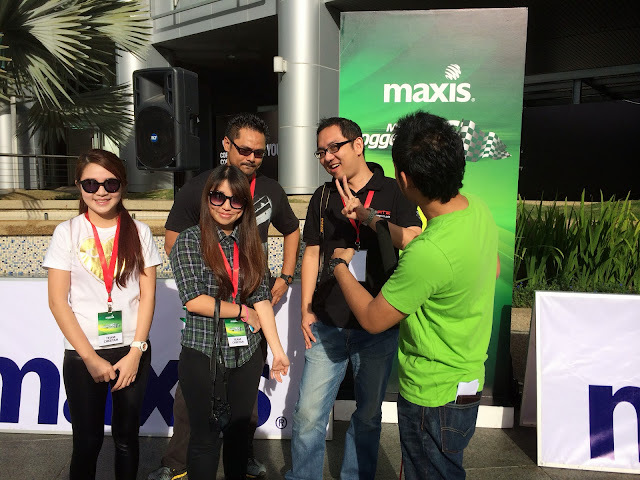 It was a wrap, thank you maxis and nuffnang!